The Surf Yoga Holidays have been designed with those people in mind who wish to disconnect from their everyday routine and chill out in a wonderfully relaxing environment, completely in touch with nature whilst taking part in Hatha Yoga classes with Monica. 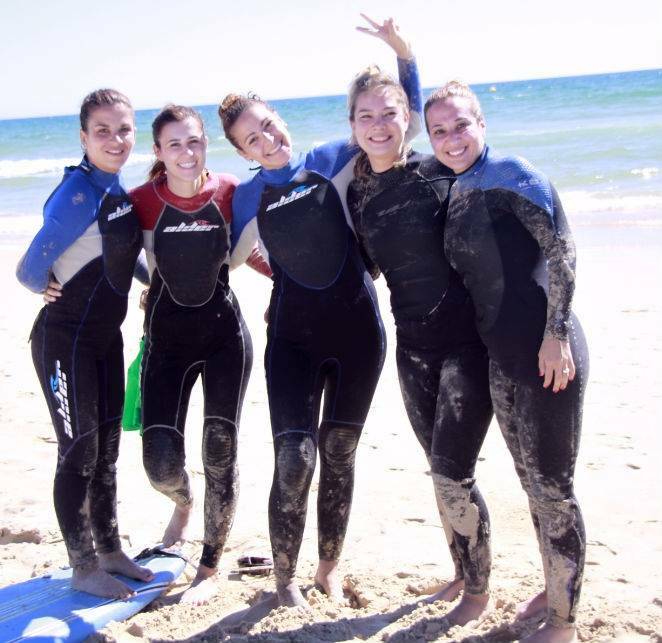 Every morning you can take part in professional surfing lessons that are perfectly suited for complete beginner surfers. 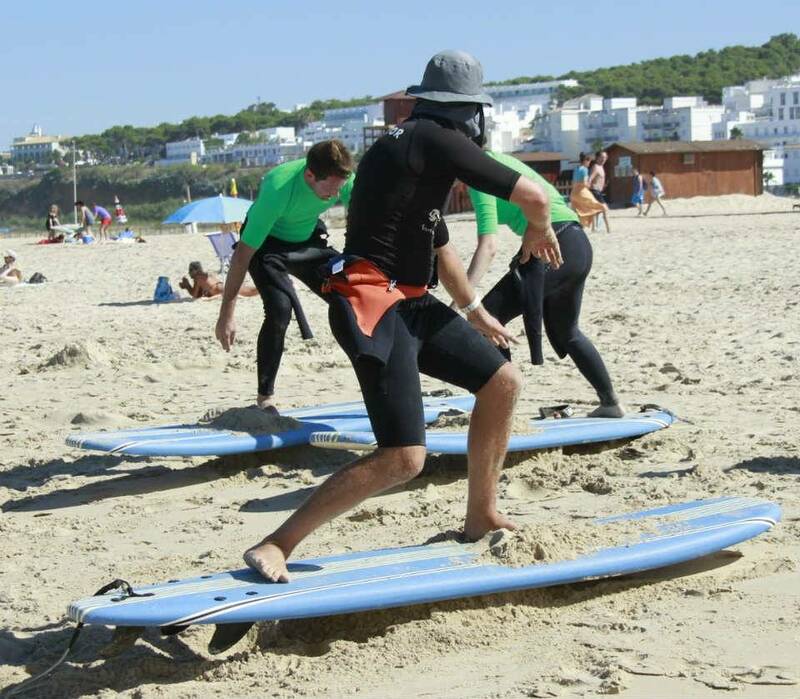 The step by step learn to surf approcah is a fantastic way to learn the wonderful sport of Surfing. 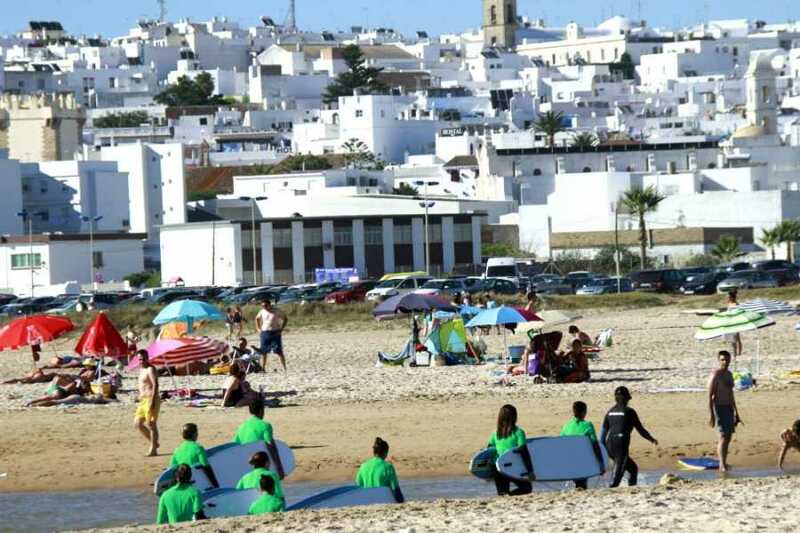 The beaches of Conil de la Frontera where the Surfing lessons take place are an absolutely perfect environment. 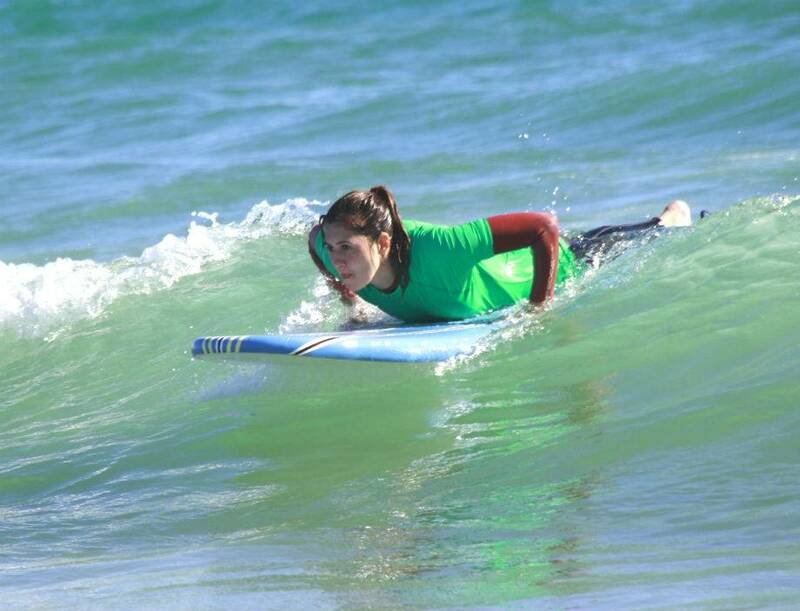 Warm sunshine and crystal clear waters with beautiful beginner waves to learn surfing. 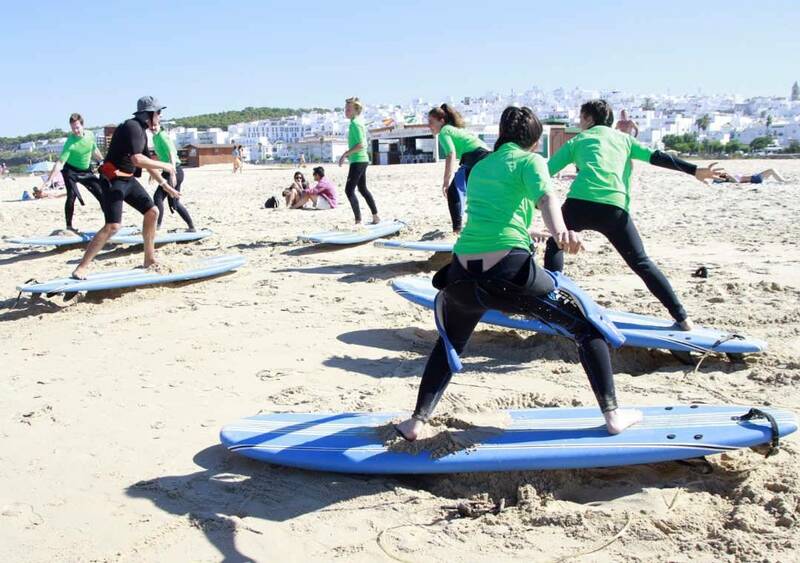 Every morning starts with a two hour surfing lesson on the beaches of Conil de la Frontera. 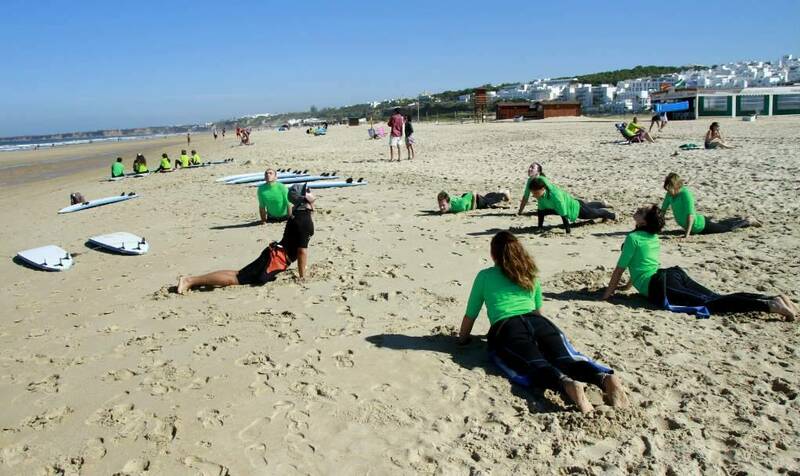 After your surfing lessons you can lie out and relax on the beaches during the afternoons. 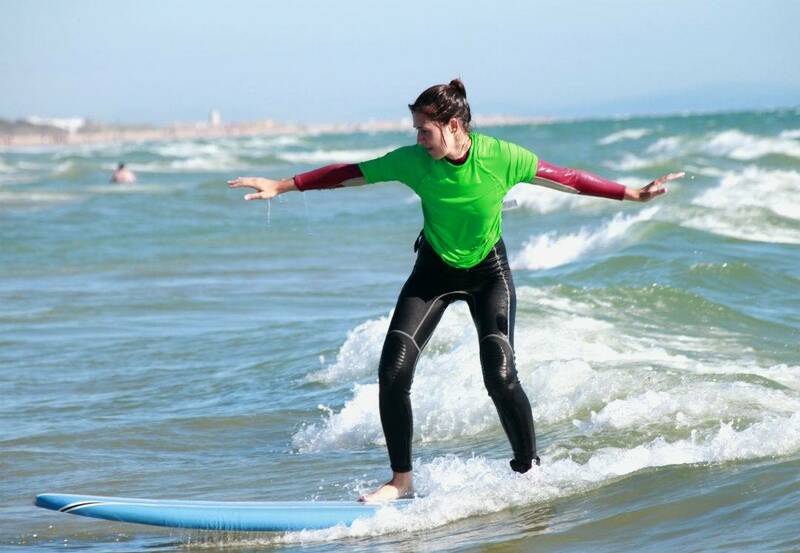 Your morning surfing lessons include Yoga for surfing combined with the surfing lessons. 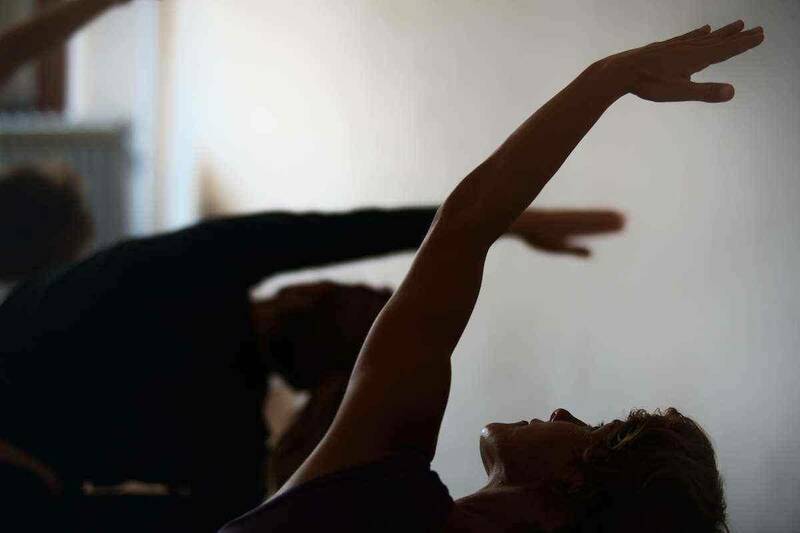 Monday, Wednesday and Friday evening it is time to go to the Yoga Studio where we hold Hatha Yoga lessons. The Lessons are available for all levels and fitness abilities as the Yoga teacher will adapt the Yoga sessions to you. 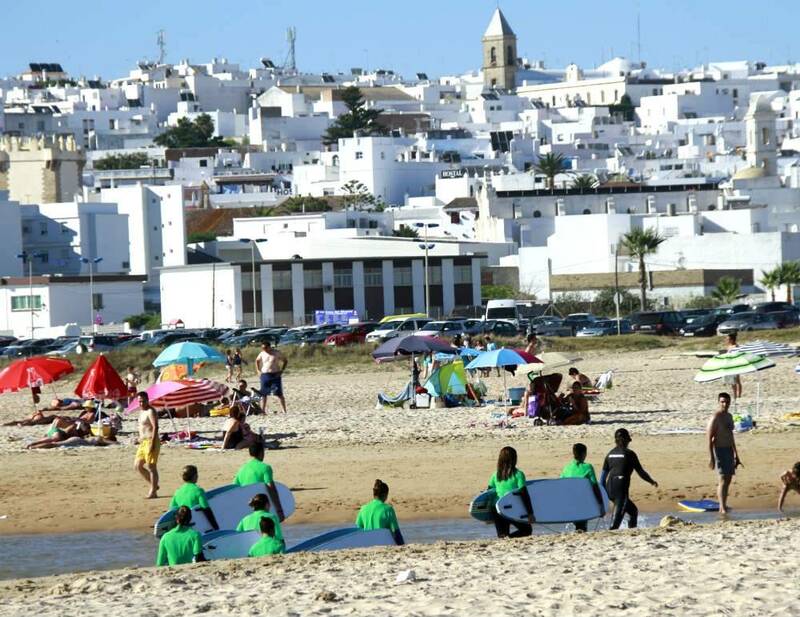 On Arrival in Conil de la Frontera you will be meet at either the town centre bus stop or the Cruce de Conil bus stop (which is 2km´s outside the town centre.) From here you will be taken back to your accommodation to check in. Check in time to your accommodation from the hours of 15.00 until 23.00. 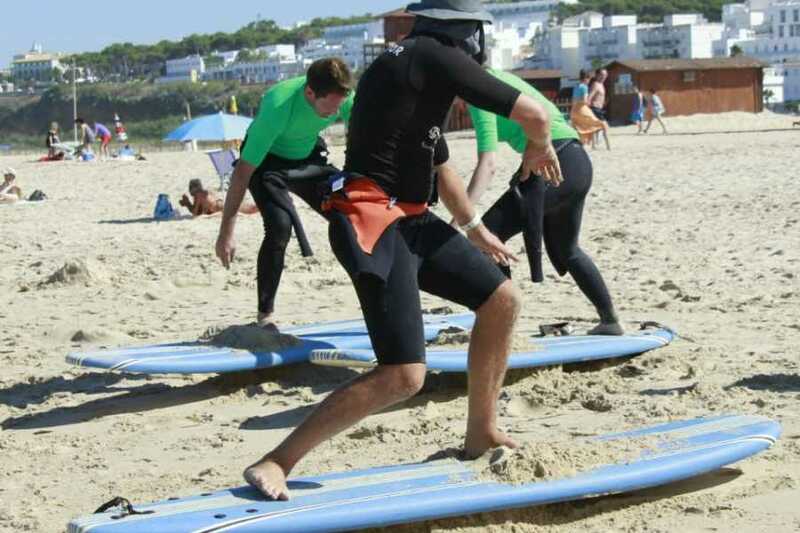 Once you have checked in you will be briefed on the timings and locations of the weeks surfing lessons, and all other available activities during the week. Locations of all important landmarks and all questions answered. 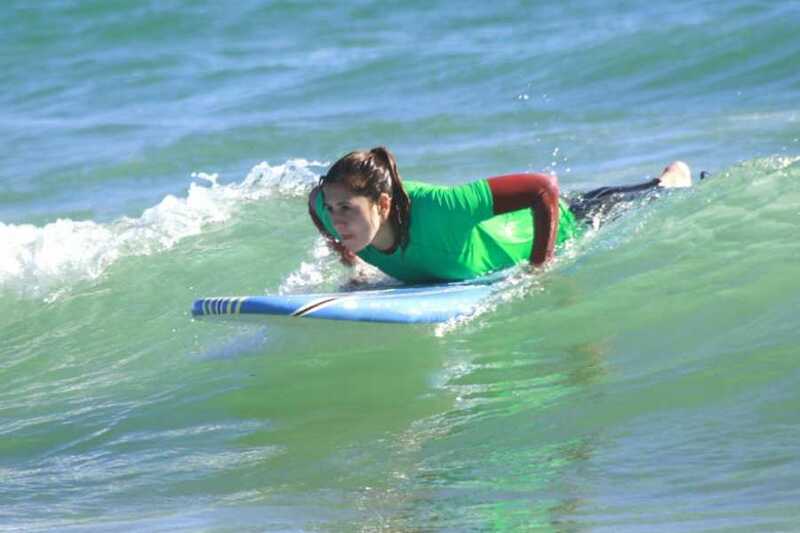 Learn prone position and how to catch waves in prone position. 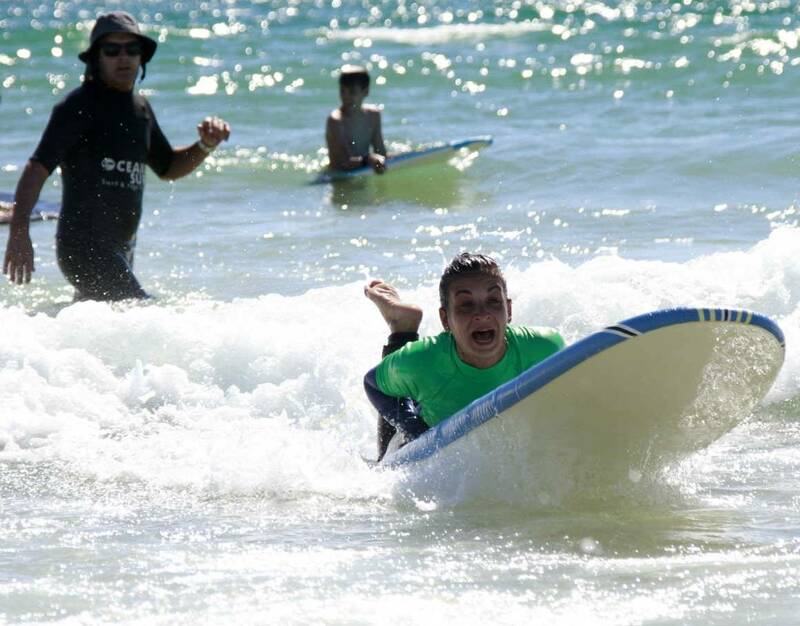 Wade out into waist depth water (where you feet can touch the ground at all times) Catch waves into the beach lying down (prone position). Break for lunch. 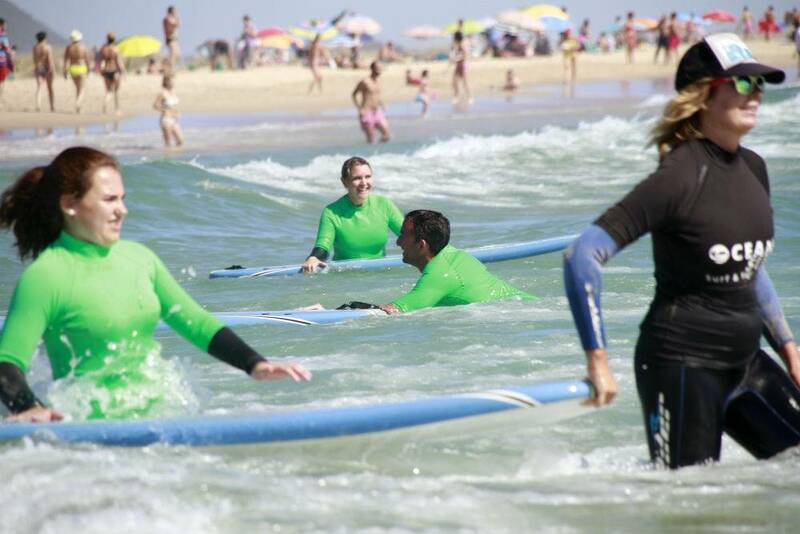 Back in the afternoon for free surf practice sessions without your surfing instructor. Hatha Yoga Session in the evening. Breakfast then down to the beach. Breakfast. 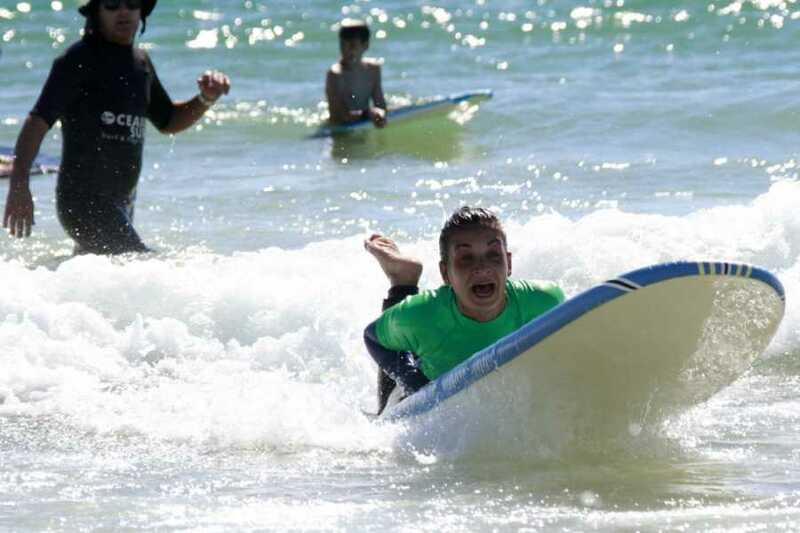 Then down to the beach. On Day 7 this is your last day and time to explore the local area.